This summer Contact Young Company invite you to a secret but familiar place. 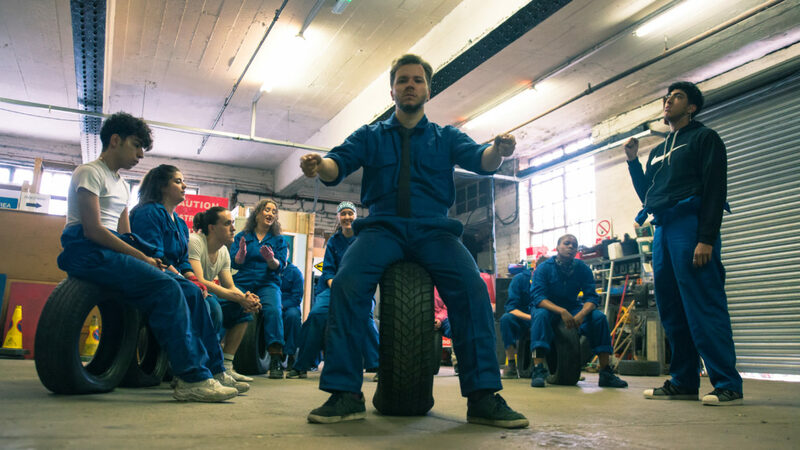 Get comfy as our bold, young artists explore what it means to be a man. 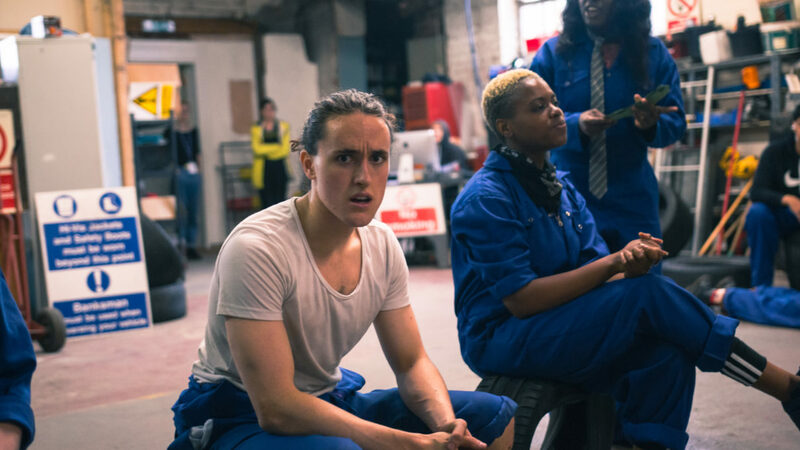 Using interviews with boys and men from across generations, CYC create a new piece that tries to free up our expectations of men as we strive for gender equality in this modern world. 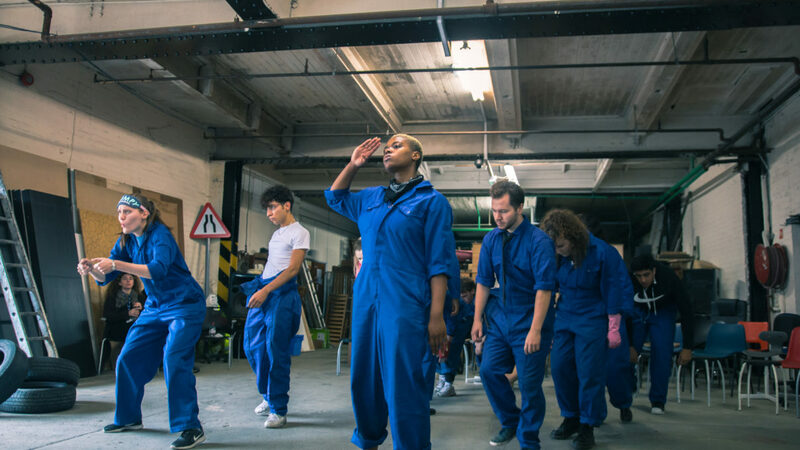 The company’s stories will be woven together with everyday movement and striking visuals, to create something that feels both familiar and provocative. Think Grayson Perry meets Bruce Lee or Michael Jackson meets Stephen Hawking or Spiderman meets your dad. Or maybe don’t think at all. Come and see what a man can be. The performances on Thur 30 Aug, 7pm & Sat 1 Sep, 2pm will be followed by a post show discussion with the following panelists. She Bangs The Drums Review provided to Manchester Evening News by Amanda Dunlop. Contact staff will be onsite at Deli-Lama to meet you at the advertised start time. Please arrive in good time as late comers may not be admitted. Major road improvement works, on one of the busiest routes in and out of Manchester and Salford, will start on Wednesday 29 August. Click here to see how this might affect your journey to Deli-Lama. 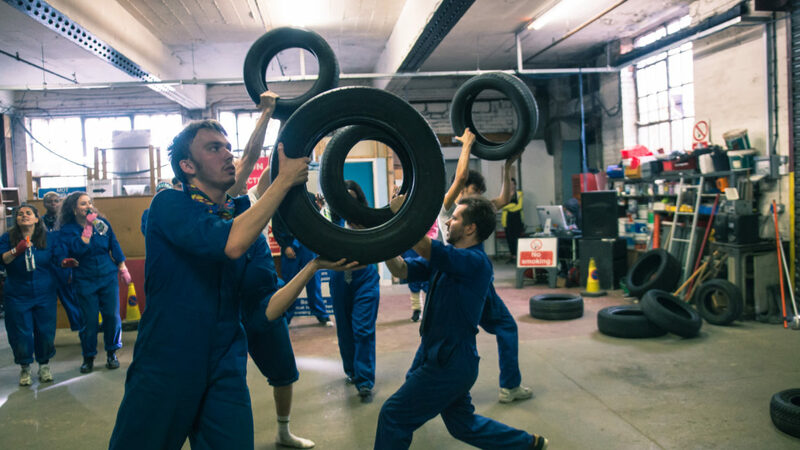 Contact Young Company (CYC) is Contact’s renowned, award-winning young ensemble. CYC is made up of young performers, actors, dancers, musicians, stand-up comedians, poets and MCs. Each year, the company creates brand new professional standard shows in collaboration with major national and international artists, such as Forced Entertainment, Lies Pauwels, Stacey Makishi and Slung Low. Shows are premiered in Manchester, and often then tour nationally to leading venues and festivals. Hetain Patel is an interdisciplinary artist, with a long history of presenting at Contact. He makes photographs, videos, sculptures and live performances for galleries and theatres worldwide, including commissions for Southbank Centre, Tate Modern, Sadler’s Wells and Candoco Dance Company. Hetain is also known to Manchester audiences through his stunning exhibition at Manchester Art Gallery in 2017. His 2013 TED talk on cultural identity has had nearly three million hits.